The drain and sewer system in your home or business may not be on your mind all the time, but it’s likely all you can think about when problems arise. Unfortunately, sewer repair is far from a “DIY” task, which is why you should be informed of your best service options as a property owner. 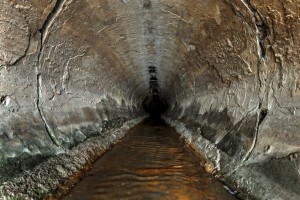 If you’ve never heard of trenchless drain repair, you are in for a treat. Homes and businesses used to be stuck with antiquated methods of drain repair, which would completely destroy your lawn and landscape with invasive digging. Trenchless drain repair forgoes this destruction, allowing experienced professionals to fix your plumbing without making a mess. Before your trenchless dig repair even begins, a trenchless expert will use a drain inspection camera to diagnose the problem. Sometimes, the issue can be something as minor as a clog. Other times, the blockage is a bit more severe, such as a tree root. Tree roots can cause thousands of dollars in damage to sewer lines, and you need to diagnose block from tree roots as soon as possible. Therefore, instead of fiddling around with huge digging operations just to find out what’s wrong, you should always opt for a camera drain inspection. Once your repair is ready to start, there are several variations of trenchless methods that may be best for your home’s needs. For example, two of the most popular solutions are pipe lining and pipe bursting. Pipe lining essentially reinforces your current pipes, while pipe bursting is a trenchless method that replaces your pipes without digging. Industry experts say pipe bursting and lining are equally durable, and most come with warranties ranging from 10 to 50 years. Perhaps the most important reason for home and business owners to seek trenchless drain repair is because it will protect your gorgeous landscape. Trenchless options might cost about 30% more than conventional digging in some cases, but it’s still much more cost-effective when you add in the money you’ll save on restorative work. If you’re dreading your next drain repair because you don’t want to ruin your landscape, you’re not alone. Get in touch with the trenchless experts in your area to experience this new way of fixing and replacing your pipes.